“Abstraction and Its Discontents,” a generous exhibition of abstract paintings opens this weekend at Storefront Ten Eyck. In preparation for an upcoming panel discussion hosted by School of Visual Arts MFA Chair Mark Tribe, I asked exhibition organizer Deborah Brown via email about the title and premise for the show. “I was obviously referencing Freud’s Civilization and Its Discontents. 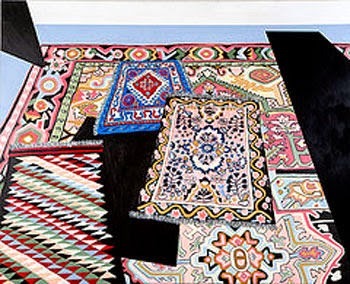 Abstraction as a painting stance has been viewed as hegemonist and colonial–a conservative province of privilege and exclusion,” Brown responded. “I wanted to challenge that historical view and show a range of work by less familiar artists who use an abstract vocabulary in a variety of ways other than the traditional, ego-driven, privileged ones. Hence the title with its reference to a subterranean activity of subversion and reversal of assumptions and canons. 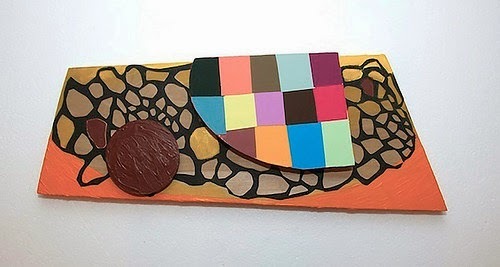 Suzan Shutan, Blitz, 2014, wood, paint, coloraid, plastic, tar paper, 9 x 22.5 x 1.5 inches. “The show came from an open call exhibition that I curated for Field Projects, an artist-run space in Chelsea. I assembled several possible shows from the 700 submissions we received. 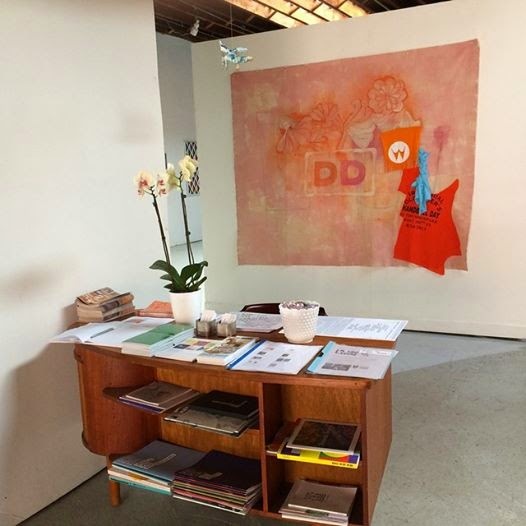 We ended up doing a different show, “Momento Mori,” but I decided to use a number of the artists I discovered from the open call as the nucleus of a show of abstract painting at Storefront Ten Eyck. Many of the artists I reached out to were unknown to me–in some cases, recent MFAs from Yale, Hunter, and Columbia–all fresh faces to Bushwick. I added a few seasoned artists from my circle, et voila! 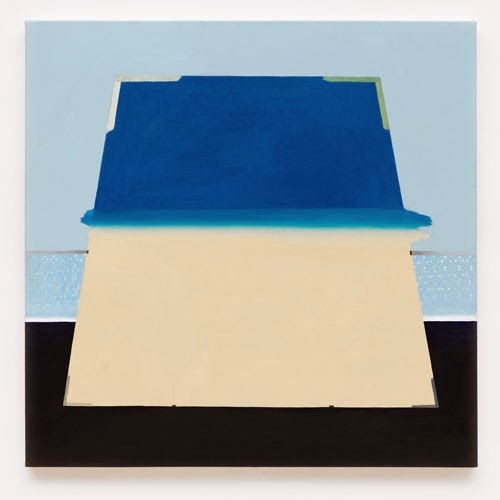 Sara Jones, Honest Misrepresentations, 2014, acrylic on panel, 32×40 inches. 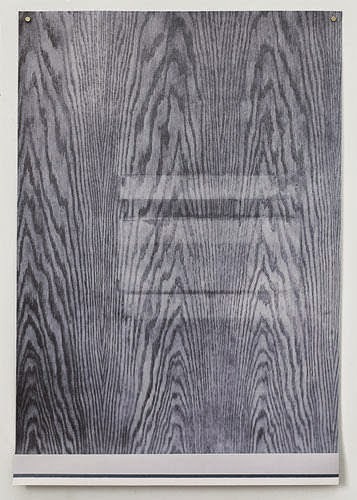 Russell Perkins, Cyanosis (1), 2014, pigment, print on document security paper, 23.5 x16 inches. Jody Joyner, T-Shirt, 2013, acrylic, 30x30inches. 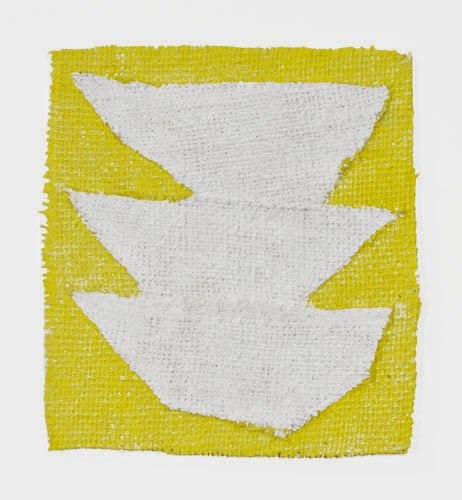 Marc Cheetham, Little Ghost, 2014, acrylic on burlap on Panel, 7 x 6.5 inches. Brown and I will be participating in the panel discussion, inspired by the exhibition, on Tuesday, November 11, 6- 9 pm. 133 West 21st Street, Room 101C, New York, NY. Free and open to the public. “Abstraction and Its Discontents,” opens Friday, October 24, at Storefront Ten Eyck, Bushwick, Brooklyn, NY. Through November 23, 2014. Note: Storefront Ten Eyck is also participating in Exchanges Rates this weekend. Brown will be hosting La Couleuvre, a Paris initiative that includes artists Katerina Christidi, Frederique Lucien, Philippe Richard, and Christophe Robe. Open late on Friday night.